Stavros Dritsas was born in Loutraki, Greece in 1996. Coming from a non musical family, he began his musical studies at the Music High School in his native Corinth. He continued his training at the Hellenic Conservatory in Athens and the Schola Cantorum in Paris under the guidance of Prof. Agathe Leimoni. He currently resides in London and is a full-time student at the Guildhall School of Music and Drama, where he is pursuing a bachelors degree in music degree in Piano Performance under the direction of internationally renowned pianist Lucy Parham. Stavros took his first piano lesson at the age of twelve; at the age of fifteen he was already making his concerto debut with the Sinfonietta Chamber Orchestra in Athens. 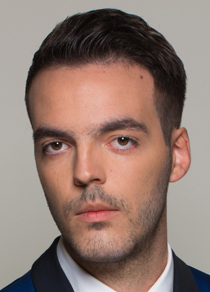 He has gone on to win first prize in all of the major national piano competitions in Greece, including the Filonas National Competition (first prize winner, 2011), the CH.O.N National Competition (first prize winner, 2012), and the M. Chairogiorgou National Competition (first prize winner, 2014). 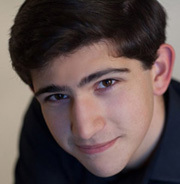 He has also been the recipient of grants and awards from Schola Cantorum in Paris, the Gina Bachauer International Music Foundation in Greece, and currently, the Henry Wood Trust in connection with his studies at the Guildhall School. His performances include recitals at the Scriabin Museum in Moscow, St. James’s Piccadilly, Hampstead Museum and Milton Court Concert Hall in London, the Concert Hall of Tchaikovsky Music School in Moscow, the Montressor Tower in Verona, Palazzo Marin in Venice, the Conservatoire Rachmaninoff in Paris, the Palace of the Knights in Antwerp, Villa Riese in Cologne under the auspices of the Beethoven Academy, University of Bonn, as well as at the most important venues in his native Greece, such as the Athens Megaron and the Parnassos Concert Hall. As a concerto soloist, he has performed Bach concertos with the Athens Sinfonietta, as well as Mozart and Poulenc concertos with the Athens Youth Symphony. A keen chamber music player, he is equally at home with instrumental (duo sonatas) and vocal repertoire (song cycles). Highlights of 2018/2019 include performing Beethoven in Bonn, on the anniversary concert for the composer’s death, Stavros’s debut in Cadogan Hall in London with soprano Elena Kokka, as well as recitals, concertos, chamber, piano duo and lieder concerts in U.K., Greece, Germany, Italy, France and Latvia. Stavros made his first recording at the age of 16 for the Greek National Radio, with whom he has also recorded works by Bach, Beethoven and Chopin. He has also recently recorded chamber music works by Schubert for BBC Radio 3 in collaboration with British actor, Martin Jarvis. He was invited in 2017 as a jury member in CH.O.N. 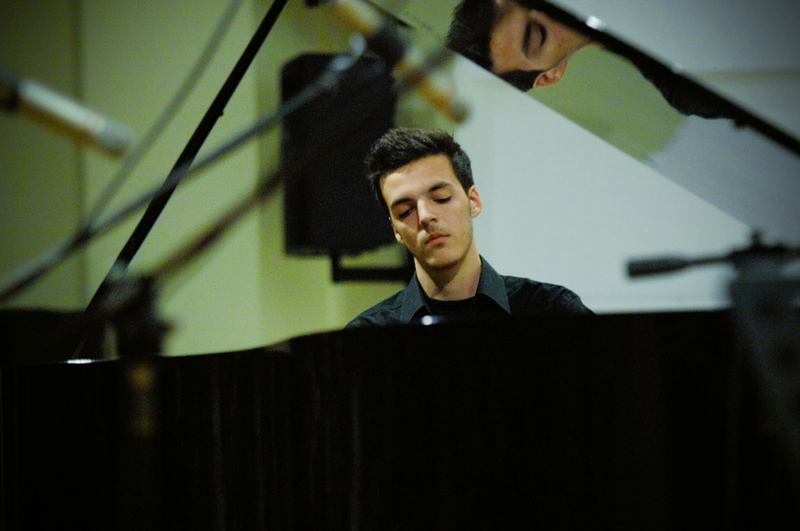 National Piano Competition in Athens, where he was honoured as the youngest jury member in the competition’s history. 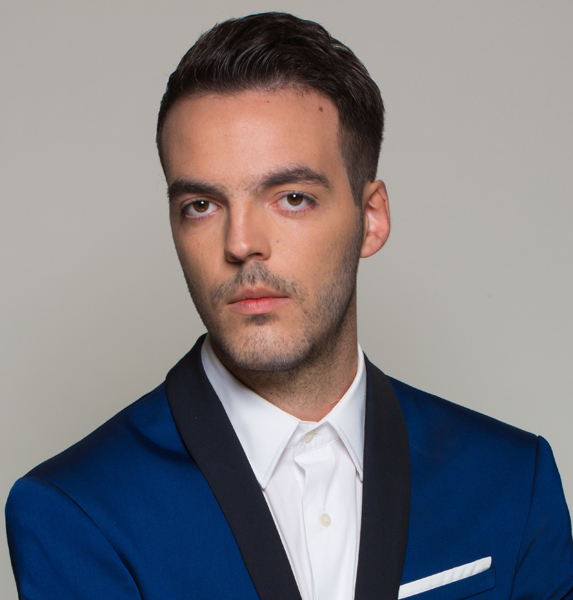 One of the most respected young Greek culture promoters living abroad, he has been recently appointed as the Director of the Hellenic Institute of Cultural Diplomacy in the United Kingdom, which apart from his duties, it will give Stavros the chance to tour extensively, notably in Europe and USA, in the next seasons. Stavros Dritsas is grateful to be supported and promoted by Talent Unlimited.